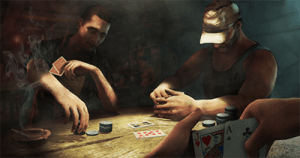 Far Cry 3 features a game of Texas Hold’em. The Australian government has blasted the broadcasting industry for allowing gambling ads to be aired, but perhaps they are looking in the wrong place. The recent release of Resident Evil 7 21 DLC is different to other Banned Volume footage packs as it features a game of blackjack. 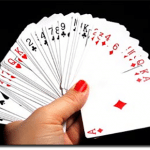 Players face off against opponents, and follow the same premise of blackjack – getting to as close as possible to 21 to win while keeping in mind the cards the opponent my have. The game is rated MA15+ so anyone over the age of 15 can access it, while there’s nothing stopping a parent from buying the game for a child under 15. The Interactive Gambling Amendment bill 2016 was read for a second time on February 8 where politicians argued the impact gambling advertisements have on children. They blamed the ads as a direct source for kids learning how to gamble. But there was no mention of this game, or others including popular teen titles Fable, Grand Theft Auto and Red Dead Redemption, which have all featured gambling at some point. These games are sold in shops to teenagers, yet gambling ads are the biggest cause for concern. A gambling program created by the Mathematical Association of Victoria and the Victorian Responsible Gambling Foundation was introduced into Victorian schools, where kids as young as 15 are taught how to play card games and participate in betting odds. The program was designed to teach children the risks associated with gambling but it actively engages the children too. This shows the politicians are targeting just one source, eluding a complete and consistent bill which also targets online gambling at offshore casinos. 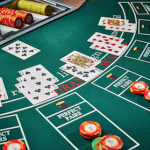 The amendment to the bill to remove gambling ads, and eventually prohibit them, did fail, but a similar amendment will be introduced when the Senate debates the bill next month. Anti-gambling crusader Senator Nick Xenophon, who is a strong advocate of making amendments to the Interactive Gambling Bill 2001 which will impact the industry tremendously, did attempt to class video games as gambling last year. But this was targeted at games which required in-game purchases and not games which feature gambling. In other words, Xenophon was trying to ban the eSports industry – something politicians didn’t even mention during the IGA Amendment bill debate. Xenphon’s agenda has not seen any progression in parliament. Far Cry 3, a first-person shooter game, also features Texas Hold’em where players can bet, raise, and bluff to win.